Reverie is, in Henry’s own words, a “raw and raucous and messy affair,” recorded in his home studio during live takes with the windows purposely left open. The resulting street sounds of fire engines, dogs barking and traffic moving become as much a part of the fabric of these acoustic but far from laid back sessions as the music itself. On his twelfth album, Henry reconvenes the core band that made his eleventh such a revelation. The jazz trio pushes his classic Tin Pan Alley/Tom Waits structures almost, but not quite, off the rails. The songs rattle, hum, bump and grind like a drunken stripper on a creaky stage. They include elements from Sinatra styled pop crooners to pre-war blues and gospel all pumped with blood from the heart of the ensemble, in particular the clatter and thump of Jay Bellerose’s drums and pounding piano from the extraordinary Keefus Ciancia. This material is not meant for parties or background listening;its layers, meanings and implications need to be absorbed gradually and without distractions. 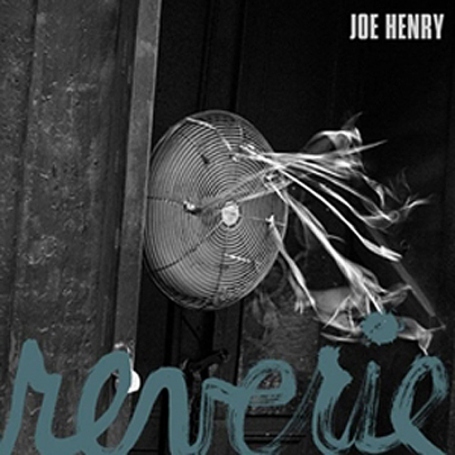 In Reverie, Joe Henry and his group have created a raw, raucous and messy masterpiece. It emerges from the heart and soul of musicians locked into each other’s vibe, playing off each other and allowed the freedom to wander within the haunting music’s beautiful, imposing, expansive yet stark and often subtle boundaries.